Radio host Adelle Onyango yesterday was left rather embarrassed and happy after her baby photos were displayed on a screen during Ed Sheeran’s performance at a Gala Night in New York. Onyango is currently in New York for the in the US for the Bill and Melinda Gates Foundation’s annual Goalkeeper’s event taking place in New York, had a chance to be interviewed by Ebro Darden, Laura Stylez and Rosenberg in their morning show. 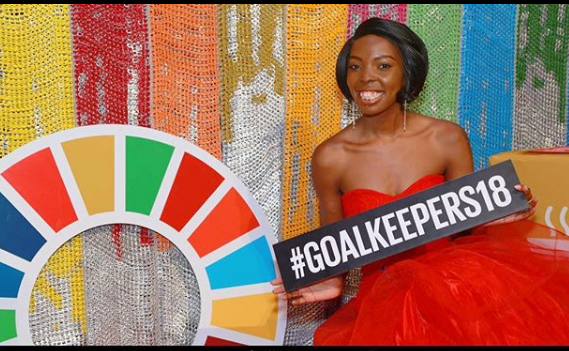 “I loved being part of the #Goalkeepers18 youth advisory group and being part of brainstorming on the structure of the sessions,” she said. She was rather shocked to see her photos being displayed since the organisers had asked her to send her photos but hadn’t mentioned it. “So the GoalKeepers youth advisory group that I’m part of had asked me for my baby photos, I had no idea why. Then Ed Sheeran starts performing and… look! My picture pops up. I felt crazy because I never expected it. 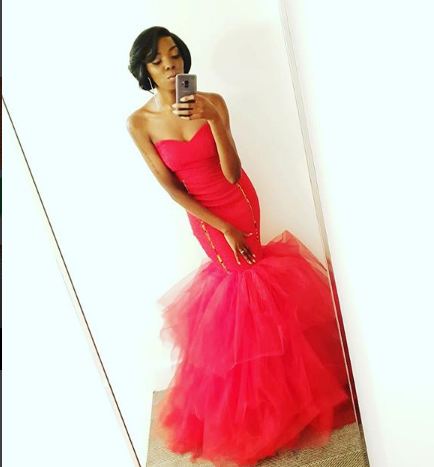 I was loving his performance and recording it for my best friend, who loves Ed Sheeran, and then my picture pops up and I was so shocked,” Adelle said. “What a nice surprise! That’s me and my favourite teddy (pun intended) called baby Margaret. It’s important for me because, as young Africans, we must be part of conversations that will affect us and part of building our own solutions that we can implement on the ground,” she said.